Ambitious, Hard Working Individuals Who Want To Work With Me Personally And Finally Discover What it Takes To Succeed Online! Back in 2008 I took on my first coaching students and since then it's been one hell of a journey. If I was being honest I didn't really know how it would turn out but the results below speak for themselves. My coaching programs have created hundreds (if not thousands) of successful marketers and let me tell you there's no better feeling than receiving an email from someone thanking you for helping them get to where they want to be. Sorry to Disappoint But There Are No Magic Bullets! However, the main thing I have learned in my 10+ years of marketing online is this, your success has nothing to do with any trick, method or loophole. The only thing that will help you move forward is when you realize it's going to take some work. Let me ask you a personal question. How much money have you spent trying to make money online? I'm guessing if you're anything like me you have spent thousands of dollars looking for the path to success, and I'll guess you probably NEVER bought the right product that would lead you down that path. However, I have to be brutally honest with you here, you were destined to fail right from the start. You see, you can buy all of the money making eBooks, training videos, home study courses, software tools, etc and you will still fail, and here's why! "I have tried many different types of business but have yet to succeed. I need a low cost very easy (broken way down, step by baby step) way to see some success so that I feel I can accomplish what others have done. A lot of Internet Marketers assume too much and skip over some of the very basic steps to succeed online." "It's great to tell people how to succeed. There is no shortage of that type of product out there. However, showing someone how to succeed is much more important... I personally consider myself to be a bright person, but much of this info - marketing info products - is overwhelming. I need a step by step guide to the entire process." "I'm tired of everyone PROMISING they can make me a millionaire. I want to work at this and make it happen. I'm an honest person and don't want to lie or cheat in order to make money. I know there's got to be SOME honest people left in this world." "John, I feel so brain dead and up against a wall with this stuff. You would be my hero of all time if you could somehow cause me to see through all this maze of stuff and make serious sense of it all to where I can just take off and do it with confidence." I have received many many more similar cries for help over the years. After doing a little research I realized people were crying out for information, so much so that I quickly discovered that I could sell information in digital form and automate the whole process. Fast forward almost 10 years and over five million dollars in sales and my business has become a huge success. What you have to remember here is I am technically making money for selling fresh air. As silly as that may sound you have to realize an information product is digital, once an information product is created you can sell it over and over and over again as many times as you like and take 100% of the profits. Way back in October 2007 I revealed how I ran my business day by day for a full month on my Blog. Many people were shocked to discover that I only worked 4 days per week and for a few hours each day. This because I have learned to automate my business, and this is what makes this business so fantastic. Once you create a new digital information product the whole sales process can be automated and your business can practically run itself. 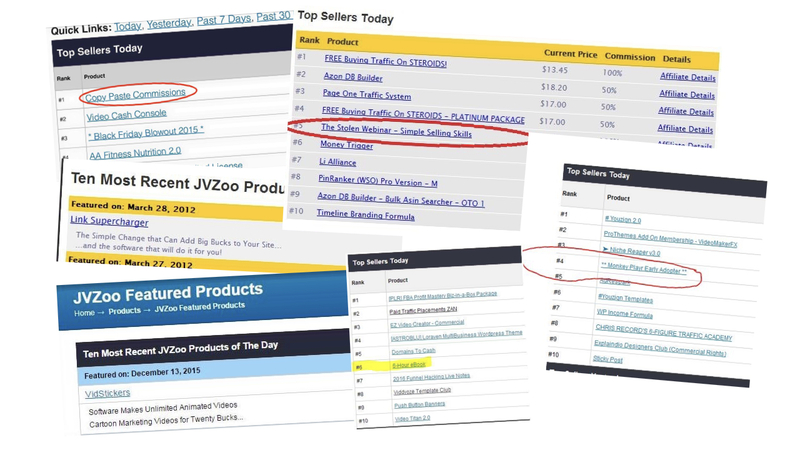 Jon Bowtell Generated Over SIX Figures With His First Launch! 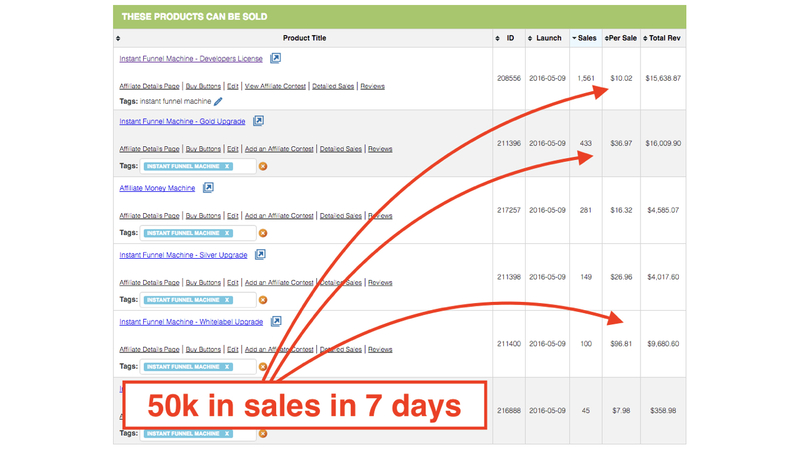 Trevor McHaffie Generated Over $50,000 in Seven Days! Over The Next 12 Months I Can Teach You How to Duplicate my Success! After my success over the last few years I have decided to dedicate my efforts to helping as many people as I possibly can duplicate my success by launching my Partnership to Success Program, but this is no ordinary program. My Partnership to Success Program Lasts For a Full 12 Months. Yes, a full 12 months, so if you were looking for a quick fix this is not it. This gives me time to take everyone involved step-by-step from beginner to accomplished marketer. You Will be Personally Trained by Myself. Not someone sitting in an office working for a company that I have sent you to. This means we get to develop a real working relationship as I help your business grow. You Will Get Personal Access to me 24 Hours a Day. You can even contact me via telephone should you need to, this means I am always here to personally help you when you need it. You can ask for my advice any time you want and you will get a personal response from me if required. Not my staff. I Will be Here For You And Help You Every Step of The Way. No one will be left behind, no matter what level of experience you have I can personally help you get to where you want to be. 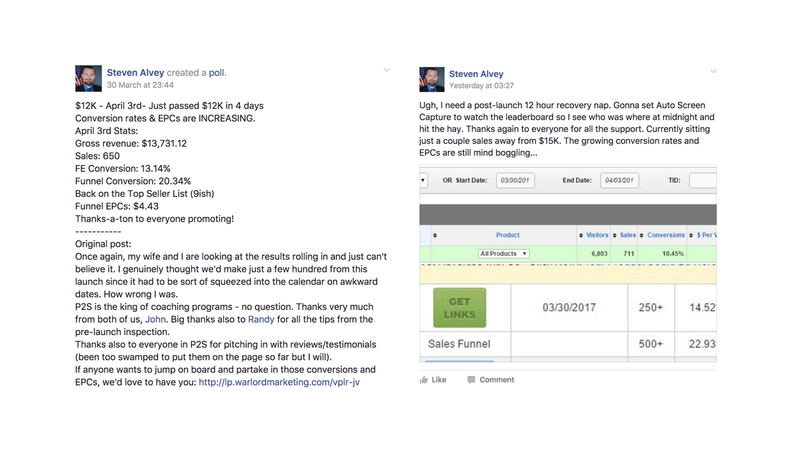 Steven Alvey Now Has a SIX Figure Online Business! 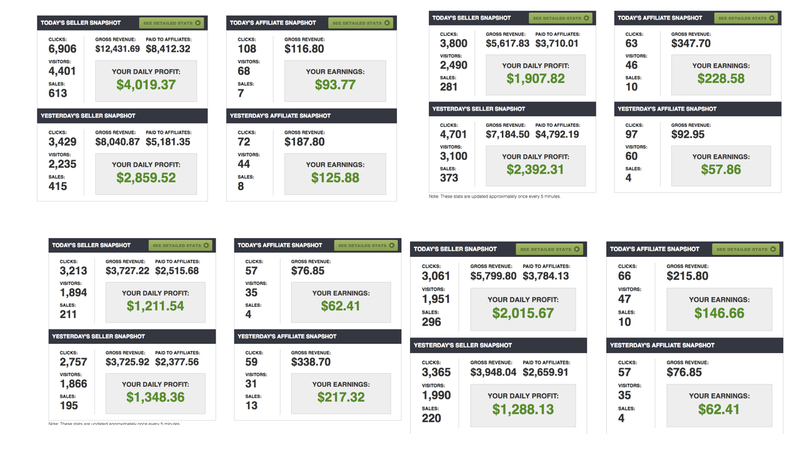 Sue Worthington Has Generated over $25,000 in 10 Months! Am I Qualified to Teach You? If you have been a subscriber of mine for any length of time you already know that I have always strived to help as many people as I possibly can. I have created many successful products that has helped thousands of people, but what you may not know is I am constantly helping other marketers in their everyday tasks. I am regularly consulted and asked for advice on a whole range of topics ranging from product creation to product marketing. In fact it's quite possible you have already asked me for advice in the past yourself. And I like to take pride in the fact that not one email goes unread nor a single JV request goes ignored. I remember what it was like when I was starting out so I know what a lot of new marketers are going through. What you also may have noticed is I never promote the latest 'Guru product of the week'. In fact over 90% of the products I promote are for products created by people I have helped get where they are today. I think what I am trying to say here is I am a little different from most marketers as I like to look after the little guy. Now I'm not trying to paint the perfect picture here as I am also in this business to make money but I genuinely get a great deal of pleasure when I get emails from people I have helped telling me they owe their success to me. So I am thinking if you have known me for any amount of time you already know I am qualified to teach you! And if you want more proof see what other successful marketers have to say about me on this website. Do You Qualify to be Taught by me? Yes! Sounds crazy doesn't it? I'm asking you to invest in me, but I actually need to make sure I only offer this to the correct type of person. So if you can't answer YES to ALL of these questions my Partnership to Success Program is probably not for you. Making it in this game involves a great deal of hard work. Now I am not saying you need to work 80 hours per week but you do need to be prepared to put in around 5 hours per week and occasionally as many as 20 hours per week. So if you're someone who has no time to spare or would rather watch TV or browse the internet rather than work online this program is definitely not for you. This is a 12 month course, that's a long time. I have devised this course in such a way so no one gets left behind. So if you are looking for a 'get rich quick' scheme this course is not for you. This is the most important quality you need to have. As an example when you get to week 18 and you have spent 17 long weeks working hard do you have what it takes to keep it going? Let me tell you now most people don't so if you're not dedicated please don't waste your time and money and don't apply. It is said every successful online marketer shares this one quality and I believe that to be 100% true. If you have always had a burning desire to succeed then this program is definitely for you. Are You an Honest Person Willing to Help Others? I strongly believe this is the number one reason for my success. If you are attracted to this business to make a fast buck at your customers expense please don't apply as I only want to work with honest people. Don't Let me Make This Sound Impossible! You Lack The Skills Needed to Create Your Own Product. You Have Not Yet Started to Build a Mailing List. You Lack The Confidence to Create Your Own Product. You Don't Have Your Own Website Online. You Don't Know Which Direction to Take. Also don't think that this course is only for beginners. Even if you have had some success and already made a little bit of money online, don't think for one minute that my Partnership to Success Program is not for you. 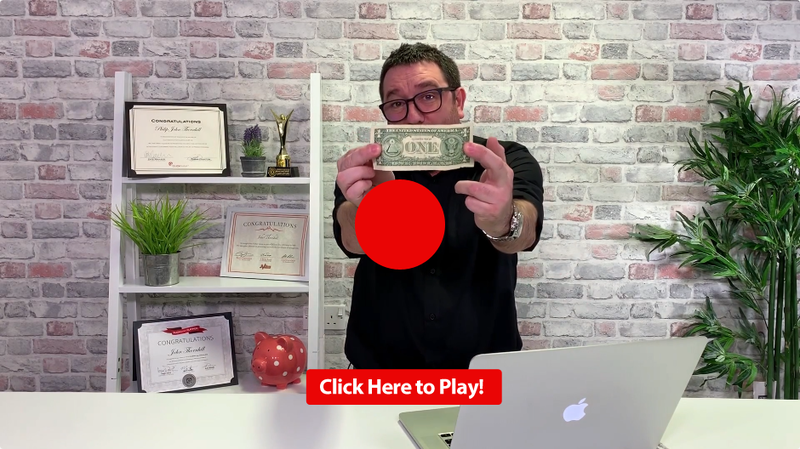 Although I have devised this program with the beginner in mind by the time you are finished you will have taken your business to the next level. At The Beginning of Each Week I Will Send You Easy to Follow Training Material. This will be in the form of audio, video and PDF documents. All you have to do is watch, read and apply what I am teaching you. If you run into any problems or need any help at all just contact me and I will personally respond. We Will Also Take Part in Live Weekly Training Sessions. This is where you get to see behind the scenes of my business as I reveal how I operate my online business. You also get to interact with me and other students live. You Will Also Receive Worksheets And Checklists. Simply work your way through your worksheets and tick of each task as you complete it. This really is as step-by-step as I can make it. You Will Have an Assignment to Complete Each Week. This will be crucial to your success and make sure you stay on course. This will also make sure you learn to work for yourself so you can go out on your own after you have completed the course. You Will Watch me Create an Information Product Right in Front of Your Eyes. Yes, this program is so different from the rest that I will actually create an information product right in front of you. This ensures that you follow exactly what I am teaching you. You Will have Access to The Partnership to Success Members Only Forum. Here you can interact with other members, many who have been with me from the start and are successful in their own right. You will also be able to check out progress reports of each and every member and see how they became successful following my program. Remember, This Is Personal Training! I cannot stress how important this is. Remember, this isn't an eBook that you read and then discover you can't follow the instructions and have no one to turn to for help. You will be personally guided by myself and you will know what needs to be done each week. And remember I am here to help you whenever you encounter any problems. If you need technical assistance it will be taken care of, or if you just need some guidance I will be personally here for you to steer you in the right direction, but this comes at a price to my time and therefore I must stress that I can only take on a limited number of students at one time. Rob Corrigan Quit His Day Job After Joining Partnership! Steve King Now Plays Golf Instead of Working! Dan Sumner Now Has Multiple Successful Online Businesses! What Will it Cost me to Complete Your Partnership to Success Program? There are some things you must invest in such as a domain name and a hosting account to store your websites on plus an autoresponder service to build your mailing list. These are monthly fees that can’t be avoided and you can expect this to cost around $30 per month, but these fees will become insignificant as time goes by. You will also need to invest in a few other services such as you go through the course. You can complete this course and the total cost of everything you need should not exceed $300 and remember that is over the course of 12 months. 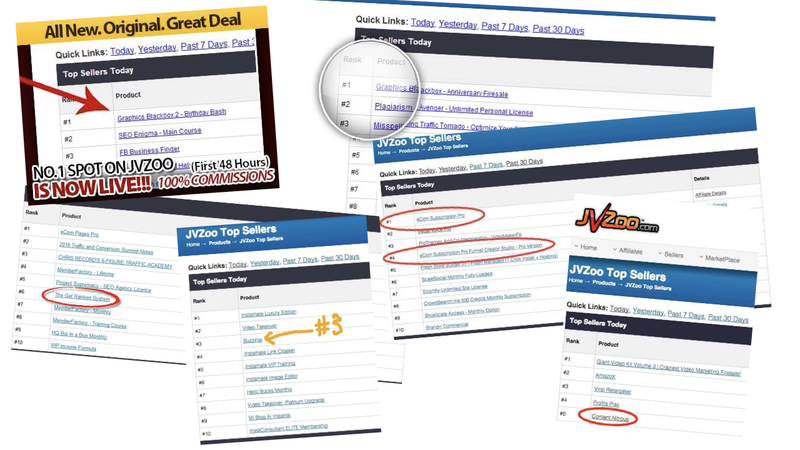 I Know Absolutely Nothing About Making Money Online, Can You Really Help? That is the main reason I have created this program. Even if you just received your first computer today I assure you that you will be able to follow this program. In just 12 months you will have your own online business up and running. How Much Can I Expect to Earn From This Program? This is the million dollar question that I wish I could answer but I’m afraid I can’t. Everyone is different, has different ambitions and desires and different skills so I can never say how much you can expect to earn but I will make you this promise. I will do everything I possibly can to guide you and turn you into a success. I will be here for you every step of the way and you will never feel alone with no one to turn to. Every single product I have ever sold online has came with a 100% no questions asked money back guarantee and this product is no different. If you invest in the program and find that it’s not for you let me know within 60 days and I will refund your investment and cancel your future payments. This gives you a chance to access the first 2 months material risk free. I can’t really say fairer than that can I? Act Today And You Will Receive All of This. Over 100 Hours Of Extra Training. As an extra bonus you will also receive access to all of my training webinars to date. These webinars cover every topic imaginable and are exclusive to Partnership to Success members, they aren't available anywhere else. All of my Existing Products. You will also receive every single product I have ever released since 2004, these products cover just about every IM topic imaginable, you can also use them for research purposes. All of my Future Products. You will also receive every single product I release for at least the next 12 months, I release a lot of products, and not only will you see behind the scenes of every launch of these products but you will also have TOP Level access to them for free. 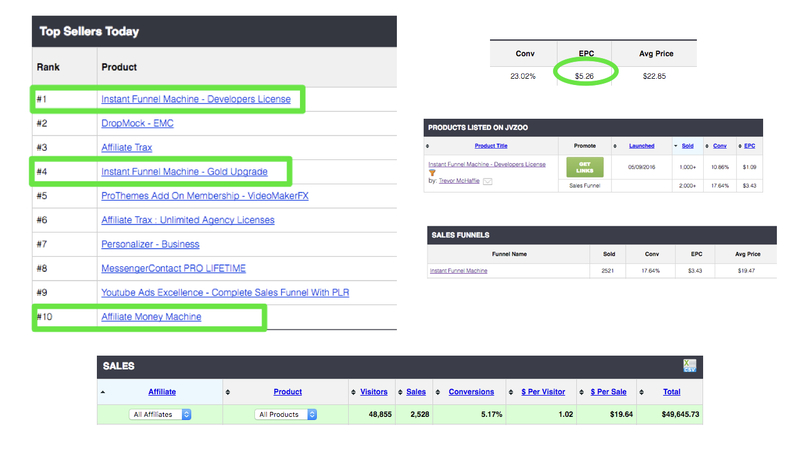 Partner products are mostly high ticket products I have sourced exclusively for Partnership to Success members. There are over $3,000 worth of partner products already in the members area already. If you see a product you like let me know and I will try to acquire it for all Partnership members. You need never buy another product again! That's it, you know what lies ahead, you know what to expect so now it's decision time. I actually don't think I can say anything else now as you probably made your mind up long before you got to this stage. What I will say is I plan to take a handful of people from beginner to expert full time marketer starting today, will you be one of them? 100% iron clad, 60 day money back guarantee that allows you to check out the first 8 weeks of training, attend the live training sessions and check out all of the bonus material risk free. Partnership To Success Program at the best price ever. Here is Your Priority Registration Form. 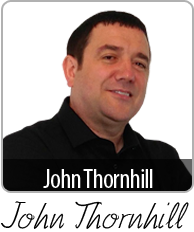 Invest in John Thornhill's Partnership to Success Program. Yes John! I understand that spaces are limited so it is important that I take action now before registration closes and I am locked out! I can't wait to be your next success story and I'm ready to be personally taught over the next 12 months how to successfully build my online business. I'll be taught the exact same techniques that have been proven effective for you over the years in an easy to follow step-by-step manner. I will have full access you personally for the full length of the course and can contact you anytime I like for advice. I can even phone you directly if needed for a one on one consultation. I will have full access to the Partnership to Success private forum: Here I can interact with fellow members, discuss tactics, secure JV deals and read past success stories. 60 day money back guarantee. You've made it a very easy decision with your 100% iron-clad 60 day money back guarantee that allows me to check out the first 5 weeks of the program and attend the live training sessions and check out all of the bonus material risk free. I know that this program is 100% legitimate, 100% legal, and 100% what I need right now and on that basis I'm ready to start right now, so I'm clicking the secure order button below. Click the 'Get Started' button above now and I look forward to you becoming my next success story. Remember! I have spent years and who knows how much money learning how to do things correctly. For a single investment you'll get to benefit from ALL my experience. Just think about it this way, after following my training and guidance you can finally be in a position to start making real income online. 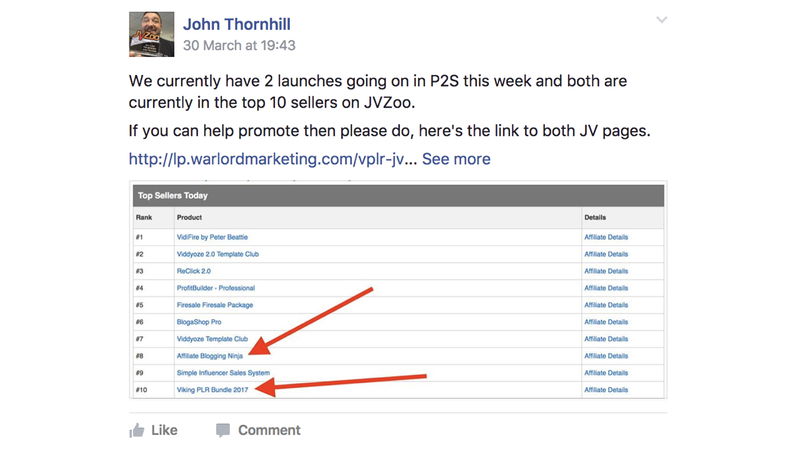 Invest in John Thornhill's Partnership to Success program now and let me reveal to you some of my most closely guarded profitable secrets so that you can achieve the success you deserve! PS. If you've tried to make money before and failed then it isn't your fault. Let me teach you everything I know about making money online so that you can avoid the pitfalls that others have to endure! PPS. Remember, this isn't your usual fluff filled eBook. 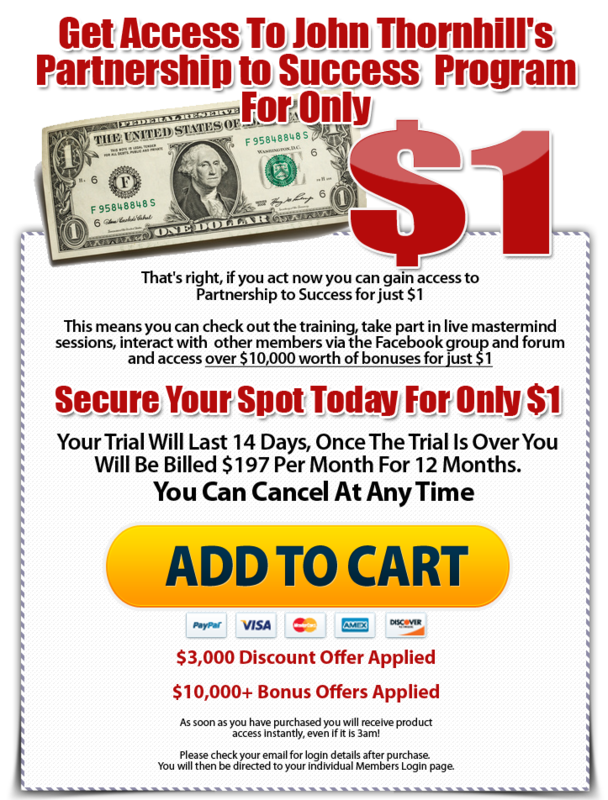 This is a complete step by step mentoring program that will take you by the hand and guide you to online income! Don't hesitate and invest NOW and take your first steps towards your profitable new online business! Your Partnership to Success Program has been a revelation to me. Not only have I been led by the hand when I needed it. After following your training for just six months I now have my first product online. We had a very successful launch with 30 Day Traffic Flow and it has been a great start with more to come. Once my training with you started I realised I was doing something’s right but was going down the wrong path with others. You always go the extra mile and no one can say you don’t give value for money. Regards, Dave Whitworth. 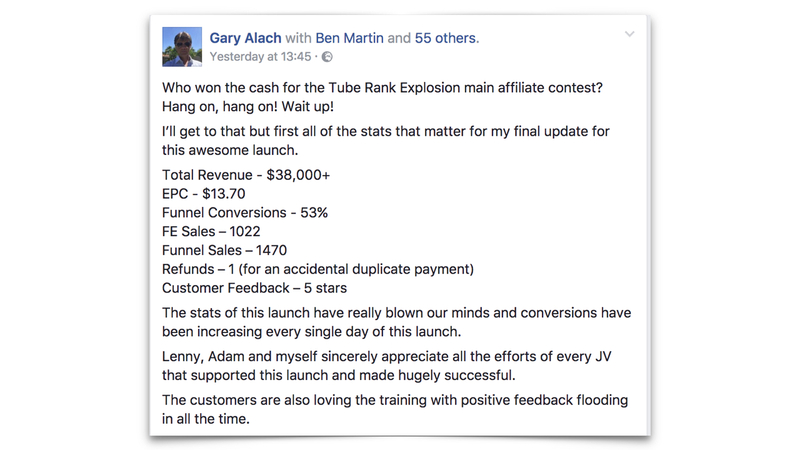 Hi John, Since joining your program my first major product launch Push Button Giveaways has grossed $6446 so far and $100s of recurring income is still coming in each month. I have added over 16,000 subscribers to my list in 12 months and am generating a 4 figure monthly income from this. I’ve made some useful contacts for the future with other students, who helped a lot with testing and improving my products and I’ve also done a couple of joint events. Hopefully I’ve been able to help some of them too. Looking forward to meeting all the new students. Regards, Keith Purkiss. In January 2008 John launched his first coaching course and this proved to be a turning point in my online ventures. Through John's easy to follow tutorial videos I created my first eBook Prints Make Profits which is a step by step guide to my eBay niche business methods. Fast forward to today I now have a second eBook Twit Masterclass on the market and I provide a weekly newsletter to my subscribers through my newsletter and tips and advice via my blog. My subscriber list is growing steadily and so is my online income! John Thornhill's coaching programs have provided me with these tools and more importantly John's personal advice, guidance and assistance have given me the belief and confidence to realise my online potential. Stuart Turnbull. I would buy business blueprint products time and time again that would all promise me "easy overnight success and wealth", (yeah right) let me tell you right now there is no such thing, there is no magic pill PERIOD! You see all the heartache and stress I went through was a blessing in disguise, because I had learned far more than I realised and more importantly it created the right Mindset I needed to stay in the game! John had all the airs about him of being forthright, honest and a dead cert as a MENTOR. Put it this way, before John's coaching I didn't know what a domain name was and I didn't have a successful blog, but I do now and I also have a product selling online. Thanks John. John Edwards. One of the products I had bought was John Thornhill’s “90 Day PowerSeller”. I decided to have a read. Something clicked when I started to read John’s book. I liked his style of writing, I liked his honest truth. Being an Aussie we like straight up honest people who will tell you how it is and John is exactly that! My perseverance paid off. I now know how to build a website, create a blog, and create a product, set up an affiliate program, drive traffic, market and so much more! Thanks to John’s coaching I now have the tools to create a future for my daughter. They say when the student is ready the teacher will appear. Jacinta Dean. I've always found John a wise, calm, fair and genuine person who has helped me out from such little things as `help, I don't think I've set this $7 script up correctly, what did I do wrong?' To advising me how I could better set up a backend to a particular product. He's even contacted me out of the blue to ask me how I'm getting on with a project and offering to help in any way he can - reminding me that he's there. I have to say that anyone considering hiring John as a coach is truly doing themselves an enormous favour. If he can't help you get a successful online business up and running, then no-one can. Paula Brett. I was trying my hardest to make money online - buying into program after program and finding that either they didn't work or that I just didn't understand how to make them work. I was spending thousands but still I just could not find the way to make that first buck. Then I joined John's Partnership to Success program. With his guidance I am producing my first product, staying much more focused - and saving loads of money because I don't have to buy any more packages/offers/shiney things! I expect to release this first product within the month and I am confident of making much more than that first buck because John is promoting it for me! Then, continuing in the program, John will be working with me to build my store of products - and my income! Jennifer Taylor. I initially found John Thornhill through eBay and have been on several of his mailing lists for a couple of years. It seemed like John became my “best friend” in that instant and the lessons began to arrive. From day ONE I was glued to my computer screen. It was like nothing I had ever experienced in all my years of schooling. Things got real serious real quick.The best part about it is not just the money I’ve made but the knowledge I’ve gained. I am finally making money in my sleep instead of just dreaming! For the sceptics, rest assured I am the real deal. I suggest you stop wasting your time and just learn from John as I did. He will never steer you wrong, I am living proof and forever grateful. Omar Martin. No part of this website may be reproduced or transmitted in any form or by any means without written permission. Copyright 2019 , partnershiptosuccess.com. All Rights Reserved.